The news is fill with tragic stories of illegal drugs and their effects. Drug busts, overdose deaths, brain-damaged teens, and crime overwhelm some communities. Recently two men were sentenced to prison in New Jersey for being in possession of almost 100 pounds of fentanyl, which is 50 times more potent than heroin. The fentanyl the men had was enough to kill the entire population (18 million) of New Jersey and New York City, but it’s important to remember that even less potent drugs can be deadly. The main reason people get hooked on drugs is for the euphoric feelings they provide. When trying drugs the first time, few people expect to wind up addicted. It can happen at a party, because of a dare, or just out of curiosity when a person takes the first dose of illegal drugs. Some people become addicted to legally prescribed painkillers and graduate to illegals drugs when they can no longer get refills. Regardless of how a person becomes addicted, the drugs and their effects can be deadly. Nearly 65,000 Americans died of drug overdose last year, and tens of thousands more would end up in the emergency room. 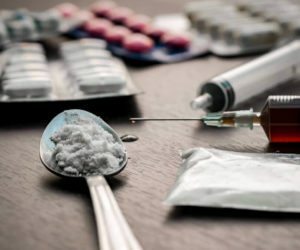 Recreational drugs are usually illicit street drugs, but legally prescribed opioids and opiates are often sold on the street for the same purpose. Most drugs have several street names. Heroin is known as smack, mud, skag, dope, junk, H., black pearl, brown sugar, china white, hero, and more than a dozen other nicknames. People who don’t know the recreational drugs street culture can be sold some very dangerous combinations of drugs, and if fentanyl is in the mixture it may result in death. Cocaine is an addictive stimulant. Users snort, inject, and smoke it. Cocaine increases body temperature, raises heart rate and blood pressure, contributes to heart attacks, and many other health issues. Users can experience anxiety, panic attacks, violent and aggressive behavior, paranoia, and psychosis. Street names include blow, bump, C, candy, coke, crack, rock, snow, and toot. Heroin is an illegal opioid. There are also legal opioids (including synthetic opiates) that are addictive and abused, such as oxycodone, hydrocodone, codeine, morphine, and fentanyl. Legal opioids are generally prescribed for pain associated with cancer or following surgery. The user can quickly become dependent and addicted, even when doctors instructions are followed. People who become dependent often turn to illegal heroin when they can no longer get opioid pills from their doctor. Opioid overdose deaths are increasing at alarming rates and the president has declared the opioid crisis as a public health emergency. MDMA is the abbreviation for methylenedioxy-methamphetamine, a synthetic psychoactive substance on the list of illegal drugs. Street names for MDMA include ecstasy and Molly. Many times people claim Molly is pure MDMA, but too often it is mixed with a variety of substances that can be deadly. It may be sold as brightly colored tablets and is swallowed or snorted. This highly addictive stimulant’s street names include meth, glass, fire, ice, chalk, crank and speed. It affects the users heart rate, causes irregular heart beat, raises body temperature, and blood pressure. Users also can experience hallucinations, delusions, paranoia, weight loss, intense itching, and severe dental health problems (meth mouth). Meth is swallowed, smoked, snorted, and injected. Fentanyl is 50 times more deadly than heroin, and users purchasing heroin don’t know when it’s been laced with fentanyl. Fentanyl looks exactly like heroin, and that makes it easy to accidentally overdose on the drug. Street fentanyl is produced illegally and rarely made to pharmaceutical standards, which causes it to be unpredictable and deadly. Are you concerned about a friend or family member that is using drugs? Has he or she expressed the desire to get away from drugs? WhiteSands Addiction Treatment Centers in Tampa and Fort Myers FL has excellent treatment options. Medically supervised detox, rehab, and therapy is conducted under the supervision of a medical and psychiatric team, which also includes trained addiction specialists. Call them today to learn how they can help. → What is Inpatient Rehab Like at WhiteSands Fort Myers?